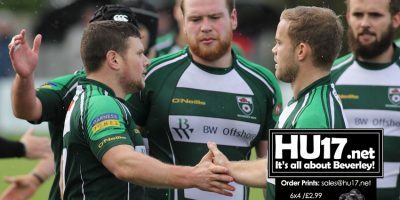 Beverley Rugby Club Archives | Page 3 of 43 | HU17.net – It’s all about Beverley! Photos from Beaver Park featuring Beverley U8s U9s U10s who took part in the Mini Matrix held at Beaver Park. 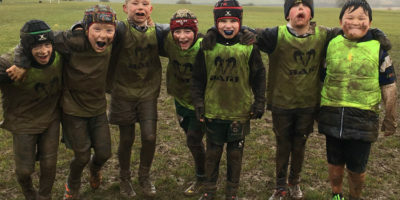 Sides from across the area descended on the home of Beverley RUFC where they took on each other in a round of games in very muddy conditions. 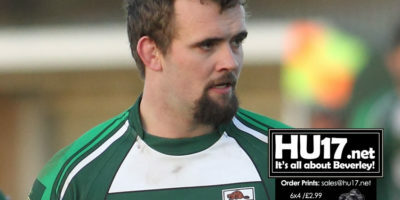 Beverley came out on top against Heath for the third time this season in a bruising encounter at North Dean, Halifax, to maintain their second position in the league and put a dent in Heath’s promotion ambitions. 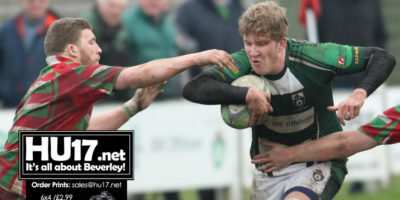 The dreadful weather conditions prevailing did not suggest the prospect of much flowing rugby and so it turned out with the result that we saw a dour contest largely played out between the two forward packs. 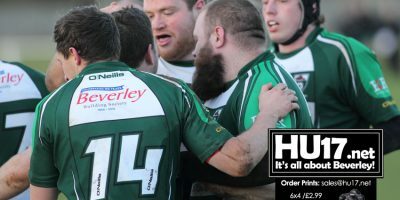 Beverley RUFC moved back to second in the table aftert they ground out a result against Bradford Salem is what was a unmemorable dominated by the constant sound of the referee’s whistle. The referee was pernickety in the extreme throughout the match and, as a result, try as they did, neither side could produce any sort of flowing rugby. 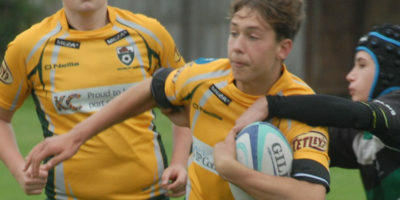 On a day when strong hearts and minds beat stronger bodies Beverley RUFC U13s produced a scintillating performance to come from behind three times and beat a big muscular Rotherham side 35 -25 and reach the final of the Yorkshire Plate. 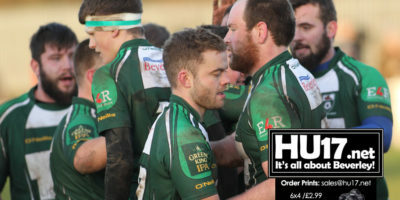 Beverley have a bad habit of conceding early scores before jolting into action and Sunday was no exception when with three minutes on the clock the visitors ran a penalty move from the halfway line straight through a nonexistent Beverley defence for the first try. 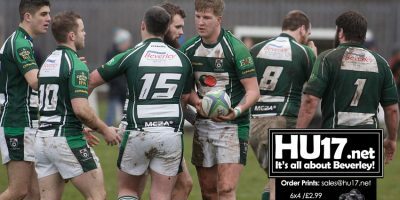 Beverley RUFC return to action this weekend as they welcome Selby to Beaver Park in a match manager Will Turnbull says with be a war of attrition. 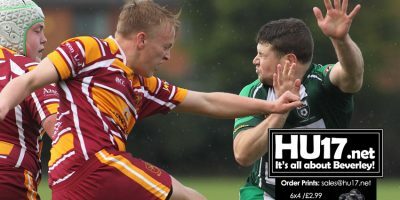 Turnbull and his side are flying high in second place in Yorkshire Division One of the North Divisions, and their incredible home form means they are in the driving seat for a playoff position. Beverley Under 15s travelled to Yarnbury and were greeted by some very wet conditions, but showed true grit and determination in a ferocious game of rugby which the home team eventually won 14-0. 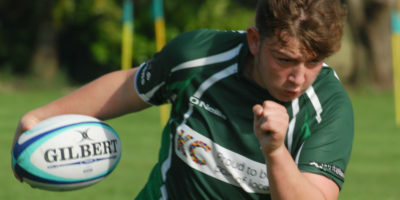 Beverley played some excellent rugby in a first half with most of the play was in the Yarnbury half, birthday boy Harrison Petrie was excellent and a constant menace at the breakdown. The weather was certainly not what was hoped for as rain and wind swept around the Scarborough ground for this weeks under 9 matrix fixture. Conditions could at best have been described as soft but a more honest assessment would be to describe the scene as reminiscent of a mud bath. 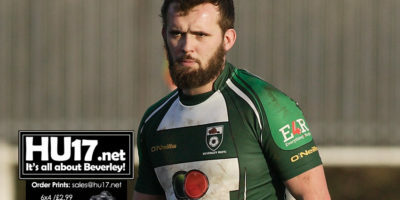 Will Turnbull says that Beverley RUFC face another huge match this weekend as they hit the road to take on Keighley in the Northern Division. Beverley are flying high in the league, currently in second place occupying the a playoff position knowing that every point matters in the run in. 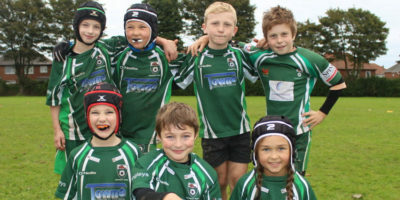 Beverley RUFC Beavers u9s played host to Bridlington on Sunday. The day didn’t get off to a great start with a heavy frost on the ground which threatened play, but eventually the go ahead was given for the matches to proceed. Beverley made up of James Hebb, Joel Hardy, Will Aspin, Flynn Harwood, Henry Stephenson, and Alex Gorman arrived with boundless enthusiasm to get stuck in, mainly because standing around was not an option on such a cold day. 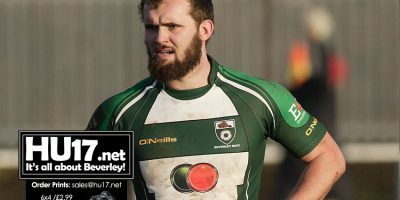 Beverley RUFC remain second in the table after they beat Moortown 48-22 at Beaver in a performance gaffer Will Turnbull described as outstanding. Turnbull had called for his ahead of the game to be ready for what he felt would be a Titanic Battle and the response he got was just what the manager wanted. 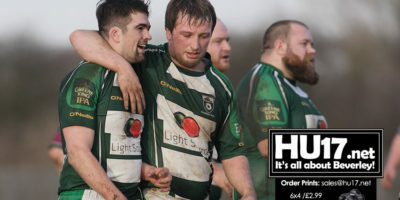 Beverley RUFC manage Will Turnbull says that this weekend’s game against Moortown will be a titanic battle. Turnball ‘s side have suffered just one defeat at home all season while come into this match off the back of a fine win in the derby against rivals Hullensians. On a fine, dry day Hullensians kicked off and immediately mounted an attack down the left flank. This was thwarted by some sound defending by Beverley but they were unable to make much headway into the Hullensians half initially and play was mostly concentrated on the Beverley 22. On 7 minutes Hullensians were awarded a penalty which was successfully converted to give them a 3-0 lead. Despite the two sides looking to be pretty evenly matched, Beverley were unable to gain much possession and Hullensians were proving to be very good at retaining the ball. Eventually after 20 minutes, another successful penalty saw Hullensians take a 6-0 lead. Beverley RUFC Under 15s travelled to West Yorkshire West Yorkshire to face Moortown, puting in another solid performance to come away with a good strong victory. Beverley were on the front foot from the first whistle and some excellent interlinking ensured the visitors got their match off to god start.